for a year’s funding. Don’t cheat the font: insert buzzword here. from chemicals says the economist and everyone yells You are chemicals! someone loses an eye, or a husband, or the remote control. not hazard a dress. I have no ideation. Research me. No matter where you are/ you are alone /and in danger – well/ to hell /with it. All your socks will be penetrated by the black sludge of air travel. You may look forward to re-opening a dialogue with unreason. You will speak the language, and ruin it. Let no day pass without discussing train schedules. Buy chocolate and do not bring up Jean-Claude Van Damme. The local satire will be brutal and bracing but you must keep it to yourself. so big it can be seen from outer space. Everything has a jargon; martyrdom has its vanities. Psalmists rain down advice on the bent necks of painters. Clouds palpitate in the sky; paintings flicker in the heat. The docent growls at your raincoat. Doves grin and owls spring hostile from the bare rocks. The amnesiac recalls a sensible ecstasy. A passport photo with closed eyes will admit the bearer into a blind country. Your soul is a common object not as radiant as a doorknob. The day you are the best French speaker at the table, no one else will think it’s funny. When you go to Bruges, you must not speak French. In Armenian, the word for book and the word for passion are the same. In Brussels, no one speaks Armenian. space is curved and time is stippled. We pocket people in late-capitalist limbo: dark age pop. does not care. She’ll take her time like any well-read storm. 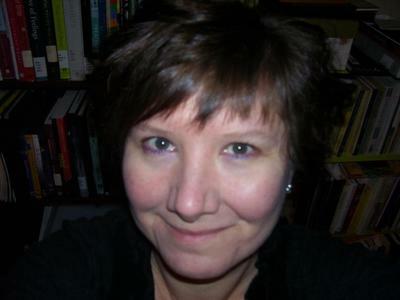 TANIS MACDONALD is a poet, editor, reviewer, and creative non-fiction writer. She has won the national Bliss Carman Poetry Prize and was a finalist for the Gabrielle Roy Prize in 2013 for her book The Daughter’s Way. Her next poetry book, Mobile, is coming out with BookThug in Fall 2019, and her book of essays, The Art You Make, with Wolsak and Wynn in Spring 2018. New work has appeared or is appearing in The New Quarterly, Rhubarb, The Fourth River, Room, Poetry is Dead, Contemporary Verse 2, FreeFall and The Mondegreen. She lives in Waterloo, Ontario, where she teaches Canadian literature and creative writing at Wilfrid Laurier University.